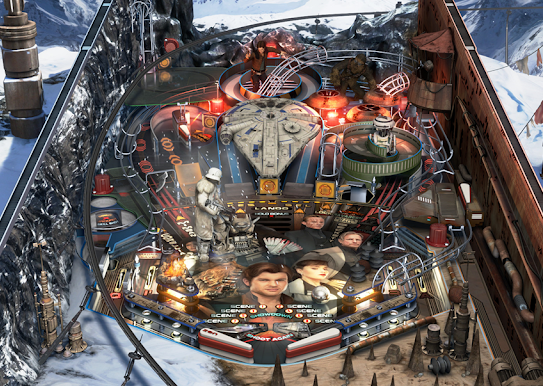 The Solo movie was not the major hit Disney was hoping for, but I figured there would still be a Pinball FX3 table to complement the previous Star Wars releases by Zen Studios. The good news is, regardless of what you thought of the movie, the pinball tables are well worth a spin. This is a pack of tables, not a single one (despite the Solo moniker), and provides a better value than the prior Star Wars tables. 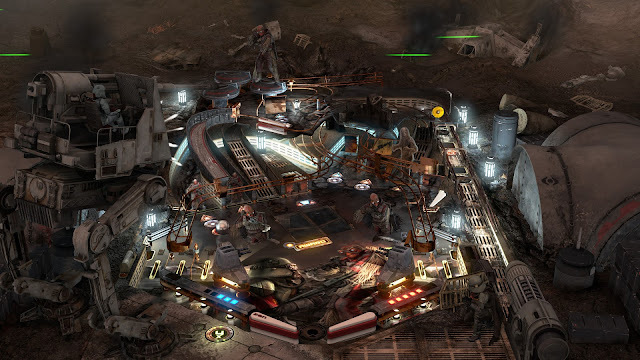 Zen Studios has really nailed down its formula, which consists of some real world pinball physics and table design that are carefully mixed with some video game sensibilities that you just could not do in a real-world pinball table. Often times these tables are based on various forms of popular media (like Star Wars and Universal movies, Marvel movies or comics and even other video games like Doom or Skyrim by Bethesda). This creates a unique and enjoyable marriage of fast, frantic pinball gameplay and homage to the source material. The first of these three tables is Solo, and the theme is spot-on with Chewbacca, Han Solo and the Millennium Falcon all readily visible from the outset. The table design is an interesting one, because my personal preference are the longer tables that present lots of opportunity for movement and distant shots, and at first glance the Solo table appears to be the opposite of that. The open space near the flippers appears a bit claustrophobic initially but there are lanes for smacking the ball into the upper regions, but it does require some precision and practice to get it there. Hit the ball wrong, and there is a good chance it will bounce back at you faster and earlier than expected, punishing you for inaccurate shots. The Solo table certainly looks the part, even if the sound is something of a mixed bag. The effects on all of the tables are solid, the music scores sound like they are ripped right from the movie, but the voice acting is a bit more of a mixed bag as it is clearly not the actors from the movie and some of the replacements hold up better than others. The Solo table in particular is really chatty and a bit repetitive on the commentary, dragging down the experience a bit. 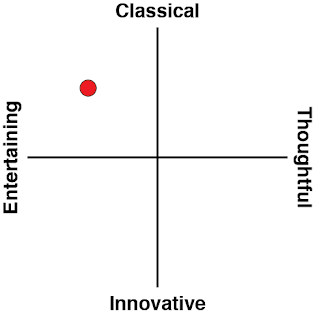 Combined with the slightly tighter table structure, it's a perfectly solid offering, but my least favourite of the three. Moving on to the second table, I actually figured that the Calrissian Chronicles would be my favourite. For one, the roguish character that the table is designed around was great in Solo and the idea that events / missions in the table would span the entirety of Lando's life and not just the Solo movie is a very cool concept. If you unlock a mission from later in Lando's life, the character model swaps out for the original Billy Dee Williams version, complete with a different voice to compliment it (even if it is not that of the actual movie actor). As for the table itself, this is much more of the style I enjoy, with plenty of space in the lower third, complimented by some nicely railed ramps that give the ball room to breathe and rip around the table at high speeds. Visually this is a sharp table as well, with one of the more interesting backdrops (high over a city, with tall walls serving to keep the table contained), and some bright colours splashed against a crisp, clean high tech-looking table frame. Last but hardly least is the Battle of Mimban table, and while the scene in the movie certainly was an important one, of the three tables it is the one that has the least traditional Star Wars elements in it. You don't have hugely recognisable characters adorning the table, the music does not reflect the traditional movie soundtracks and it has a dingy, dark accented by blooms of light look that reminded me a bit of Dagobah Swamp from Empire Strikes Back and Return of the Jedi, but otherwise likes the vibrant colours found in most of the other Star Wars locales throughout the various movies. So I came into the Battle of Mimban table with moderate expectations, but was pleasantly surprised that I enjoyed it just as much as the Calrissian one. For starters, the table structure is a bit of a happy medium between the other two, not quite as long as open as the Calrissian Chronicles one, but more forgiving than the Solo table. There is a lot happening on this table, and while it does not necessarily feel as 'Star Wars-y' as the other two, the sound effects and visual flourishes around the muck and mud are handled well. It is probably the most forgiving table - I got a trophy and multiball on my first play and nearly doubled that score on my second. 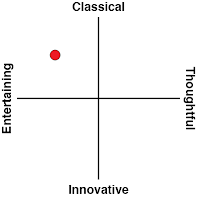 That is not to say it is easy, but of the three it was the table that for whatever reason I was able to pick up and play the most easily right out of the gates. Fans of Star Wars should appreciate the overall presentation, even if the voice acting is somewhat lacking. 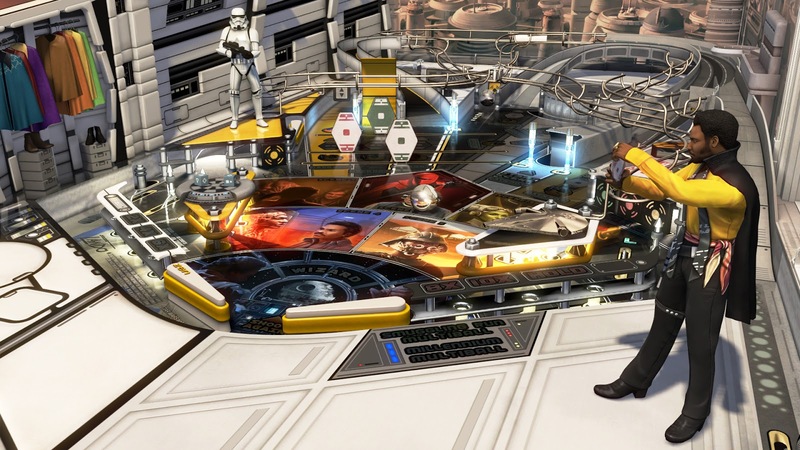 Even if Star Wars in general and the Solo movie in particular were not of interest to you, fans of Zen Studios' pinball offerings should enjoy playing these three well-constructed tables. Getting three in this pack is a nice value, and there is plenty of variety in how they are laid out and play.